I’m fascinated how someone can attend two similar church services (maybe even with the same Pastor) and have the 30-minute sermon seem long and boring in one while the other can feel interesting and not enough time. And it’s the same amount of time. And maybe similar content! Or you can watch a youtube video and be fully engaged with it for several minutes while another will drive you to close the window after a couple of minutes. Even if it’s the same subject. Or there’s a website that can captivate you for a long time versus the website that loses your interest in about 30 seconds. Communication is tough. Our audience has changed. Their attention-span has gotten shorter and shorter. In fact, according to a 2015 Microsoft study, humans lose interest in most things after only 8 seconds. This is astounding since a goldfish has a 9 second attention span. We’re doomed. Our audience certainly isn’t changing, so we need to tackle things differently with our communication style. Make it matter to your audience. This is key. In the first few seconds, in the headline, or first sentence, speak to a pain that you know your audience faces or a challenging goal that they seek. Then deliver as quickly as possible the hope of a solution in your communication. Or a straight-line path to their goal. This requires you to know your audience extremely well. So do everything within your power to discover their pains and goals. Edit your content as short as possible and present it the way your audience wants it. Do the difficult work of eliminating everything that’s unnecessary or redundant. Get your communication to the basics and don’t overdo the details. Then, based on your communication channel, deliver it in a style you know they’ll enjoy. For in-person or on video, that’s an interjection-style that captures the wayward attention and holds it by bringing people back into the conversation. For printed or static web content, give in to their propensity of scanning. Create eye-interruptors (headlines, subheads, bullets, captions) that tell most of the story and lead to the deeper content so they can read more. Deliver it so you seek engagement. Remember you’re not just telling. All content today should engage. Drive them to other locations through links and suggestions. Allow them to process or do things so they interact with your content. Where possible, let them respond. This engagement says you care about them and want them to fully understand. This relationship of love and empathy will allow your audience to overlook flaws and truly be interested in what you have to offer. Summary? Make it about THEM and less about YOU. Say it as quickly as possible. They’ll feel the love. 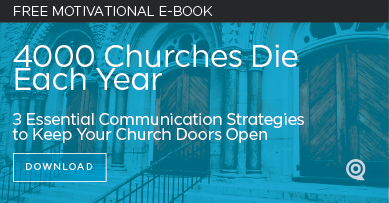 That’s the role of all church communication today. We’ve got to become better communicators. That is in part what your tips are about. But we have to face some hard facts. The art of storytelling has been largely lost. The old adage to “walk in the other person’s shoes” is rarely stated and followed even less. In fact, most people cannot do this. Instead they suffer from “Every Man’s Syndrome” expecting everyone to see things pretty much the same way they do given the same messaging. Once again, you get it Mark! Just because “we” think people should want things communicated the way we like it, doesn’t make them do it. We need to wake up and change soon!